Are you thinking about getting married? Perhaps you just tied the knot. Getting married is an exciting time of life when a couple gets to celebrate their love with their family and closest friends. While it's important to take the time to connect, there are important legal items that need to be considered when a couple gets married. We all hate to think about giving Uncle Sam money, but it's something you need to consider when you are getting married. When filing income taxes, be sure that your name and social security number match what's on file at the Social Security Administration (SSA). Your must report your name change, assuming you changed it with marriage, to the SSA. When dealing with a name change for marriage, you also need to provide your employer with a new Form W-4. Your filing status is a determining factor when it comes to your tax liability, filing requirements, and eligibility for various tax deductions and tax credits. Keep in mind that when you and your spouse marry, your newly combined income could push you into a higher tax bracket. When it comes to Federal taxes, getting married at any point during the year makes you "married" for that entire tax year. When it comes to merging or not merging bank accounts, there is no right or wrong answer, only what's best for you and your spouse. Will you have a joint bank account or separate? Perhaps you're somewhere in the middle. What bills will be paid by what accounts? It's important to discuss this issue with your spouse before you get married to make sure you are on the same page. Money is often at the core of many marital disputes. Before you get married, take the time to sit down and talk about how you will handle debt. Taking on your spouse's debt can be good and bad. Combined income can lead to paying off debt faster. However, taking on new debt can cause your credit score to take a dip and can increase stress. 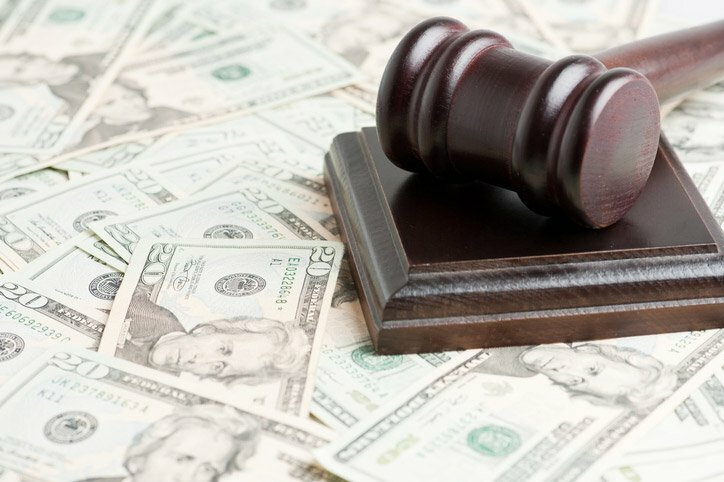 When it comes to assets, it's important to know that in Colorado, property division is equitable, but equitable is not the same as equal. Your financial contribution does not dictate the assets to which you are entitled. If you and your spouse ever divorce, many subjective components come into play when dividing assets. It is important to obtain accurate valuations for your property and all bussiness assets as well. When you get married, that is the best time to start thinking about life insurance, or your financial safety net. After all, you are about to share your life and your debt with your loved one. Life insurance premiums increase with age, so you’ll only be adding to your monthly rates if you wait. Rates are locked in when your policy goes in-force, meaning that you’ll pay the same each month for the life of the policy. As you can see, it's better to get a life insurance policy sooner rather than later. Couples who bring business or personal assets into a marriage often think about prenuptial agreements. Prenuptial agreements establish the property and financial rights of each spouse in the event of a divorce. 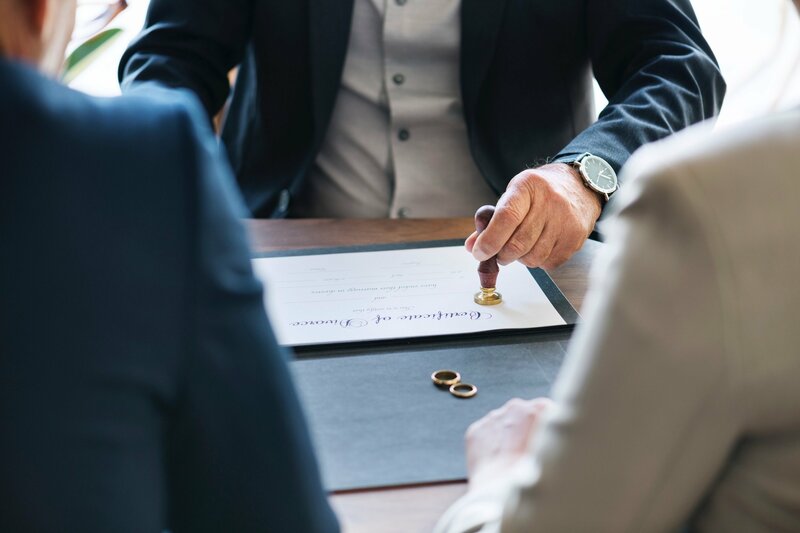 Signing a prenuptial agreement is a very personal choice and is something that you should be open about with your future spouse before you tie the knot. 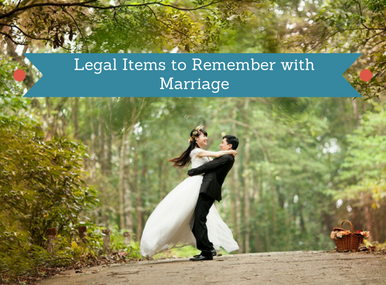 While marriage is an exciting time, it's important to remember that you will be entering into a legal agreement with your spouse. If you get overwhelmed or confused about what to do regarding these marriage-related issues, or want to know more about the laws in Colorado, contact a Denver Family Law Attorney. They can help you work through your marriage related questions and concerns.